SanDisk has this week launched a new Android app called Memory Zone which has been designed to help you manage your Android devices memory usage and loads. Allowing you to adjust your memory on your device, card or even in the cloud. SanDisk Memory Zone offers you advanced memory management enabling you to manage and backup both your local and cloud memory with one free application. Watch the video after the jump to see the SanDisk Android Memory Zone App in action. 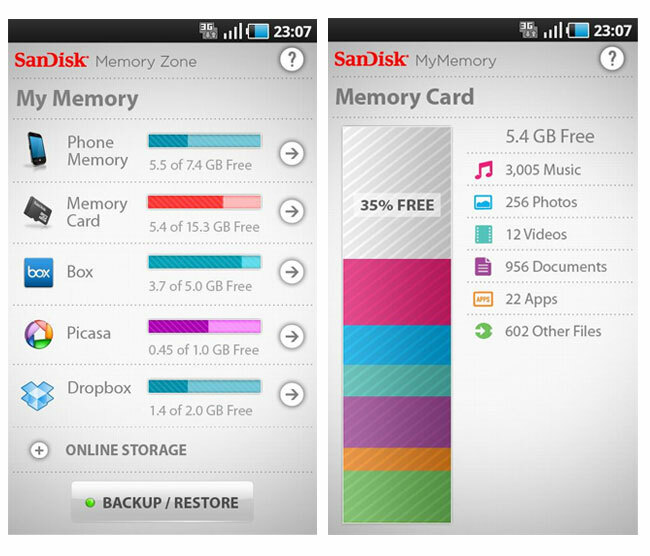 The easy to use SanDisk Memory Zone App is now available from the Android market for free.